John Burroughs (1837-1921) was a famous American naturalist, nature essayist, and writer. Known for his great love for nature, John Burroughs’ quotes focused more than just nature, science, and the universe. His quotes also sought to motivate and inspire people, especially on the importance of work and how to overcome failure. He was therefore widely loved during his time, and his legacy resulted in about a dozen schools being named after him. 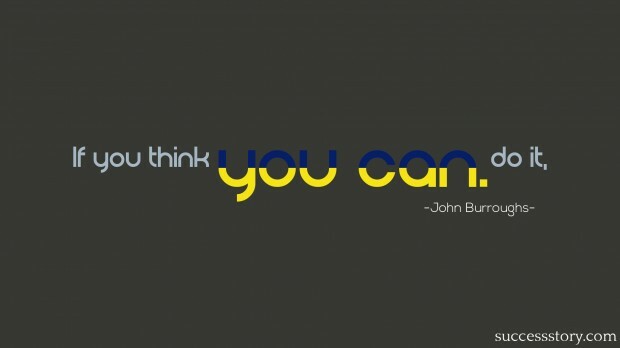 "If you think you can do it." As a recognition of his writing and motivational achievements, John Burroughs was elected to the American Academy of Arts and Letters. His essays on literature, life, philosophy and religion, although sometimes controversial, were a source of encouragement for many people. Some of his most notable collections of essays include The Art of Seeing Things and Accepting the Universe. John Burroughs’s quotes revealed his worldview, that nature, with all its beauty and peace-inducing qualities, occupies a central place in our existence on earth. He believed that the secret of happiness is work, and that an individual should always have something to do. While acknowledging that man can fail sometimes, he believed that failure shouldn’t stop one from trying again. His quotes touched on even the simplest of nature’s events, such as leaves falling, or those that shape our lives, such as winter and other seasons of the year. His most enduring legacy was that we should appreciate nature and seek to preserve it.